Al-Kitab Advantage is a powerful language lab that gives students access to 300+ video tutorials (mostly Homework Help, Vocabulary Mnemonics, and Grammar Videos that cover the first 14 chapters of Al-Kitaab Volume 1, along with some Media Arabic and ‘Ammiyya materials) to get a solid foundation in the their Arabic studies. Let’s face it. Grammar stumps most people and it requires a little more explanations that other things in the Arabic langauge. This is why we’ve specifically designed grammar help videos. These videos are clear, extensive, and rooted in our experienced teachers’ knowledge of common pitfall areas that students almost predictably find confusing or challenging; the explanations anticipate these speed bumps and address them directly. Homework can be difficult and sometimes you need a hand to understand the homework and get it done with accuracy. Our homework help videos give you examples of how to do the homework accurately so you’re doing it exactly how it is intended by the textbook. We have multiple assignments, quizzes and learning exercises to help you put everything you’re learning to use. Eventually you’ll want to use your Arabic to access Arabic newspapers and watch news in Arabic. This is why we’ve included the Media Arabic videos that help you analyze newspaper articles and news media and translate them for your understanding. We have one of our best instructors teaching you how to understand media vocab and how to use it to gain greater understanding. Your studies of Arabic are not complete until you have a grasp of colloquial Arabic. You’ll need this especially if you’re looking to connect with local Arabs on an informal level. This means talking to them on the streets, taxi or when you’re travelling abroad. This ia must resource for any serious student of Arabic. One of the biggest frustrations a student of Arabic has is memorizing and remembering vocabulary words. This is why we’ve created a resource to help you remember words that you’re never going to forget. Sounds like an overstatement but these mnemonics are fun and easy to remember for years on to come. Access to a dedicated online community of Al-Kitaab students and instructors via comment posts and forums—ask questions, reply, connect with other students like you from around the world. No software to install; access from any browser, iPad, or supported smart phone. As always, we’re here to serve you. If you have technical issues or are simply having a challenge you need help with, write help@qasidonline.com and we’ll be happy to take care of you. At the beginning of the program, we hold an academic orientation call to get students onboard with how our online learning platform works and how to stay motivated to get your Arabic goals achieved. Throughout your program, we hold “Office Hours” calls during the weeks to tackle your toughest questions and keep you inspired, energized and taking action. In our private, student-only community, you’ll be able to post your questions to your fellow students. With a global community by your side, questions are rarely left hanging! 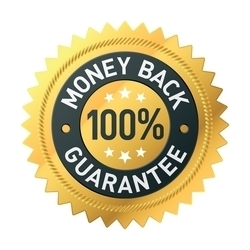 If you purchase Gold or Platinum access to AKA, go through a good chunk of the material, give it an honest effort, and ultimately feel that it didn’t deliver solid educational value, let us know within 60 days, and we will refund you 100% of your payment AND apply a credit equal to 25% of your payment toward tuition at Qasid in Amman, redeemable anytime in the next 3 years. Click on one of the plans below to enroll into the AKA program. Get access immediately after enrollment. Single payment of $39 for 1 month of access; renewed every month until cancelled. Single payment of $78 for 3 months of access; renewed every 3 months until cancelled.